NextReports Server has a lot of functionality, but most important are dashboards, reporting, monitor and scheduling. 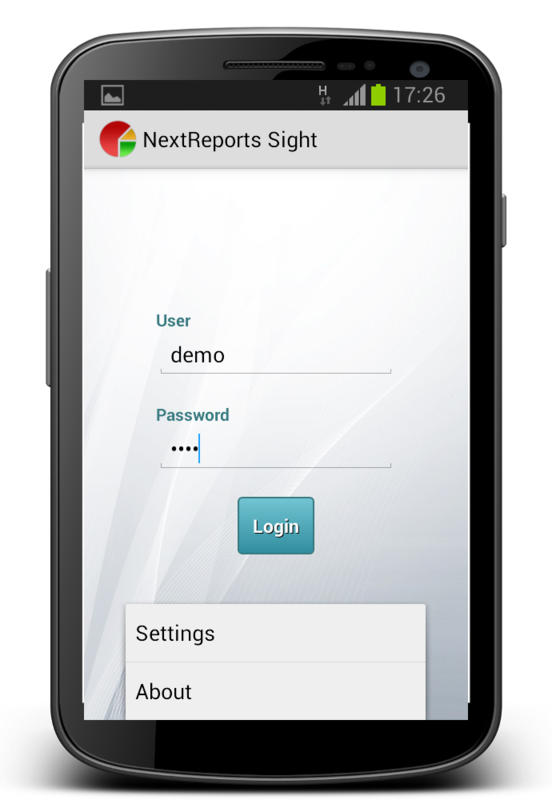 Taking the first feature, dashboards, it can be very useful to look at your personal data using a mobile phone. To make it possible, without zooming on the web page inside your browser, a new client application for Android systems was created. 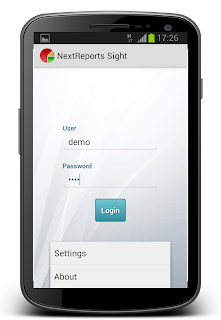 This is called NextReports Sight and is a new member inside NextReports Suite applications. 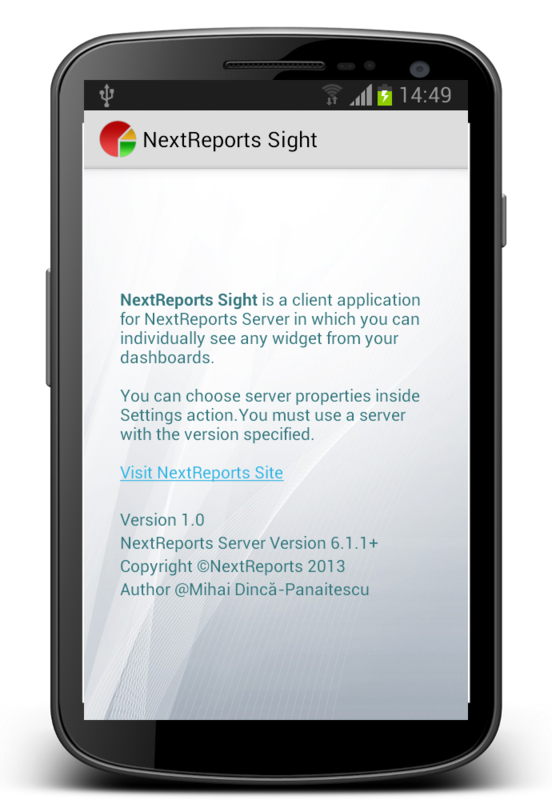 NextReports Sight first version is able to communicate with a NextReports Server in order to bring your widgets to an Android gadget in a more viewable and enjoyable form. When you start the application a login is shown. User must define inside application settings how to connect to NextReports Server through some server properties like protocol, domain and port. From Menu, users can select Settings and then a new panel is shown. 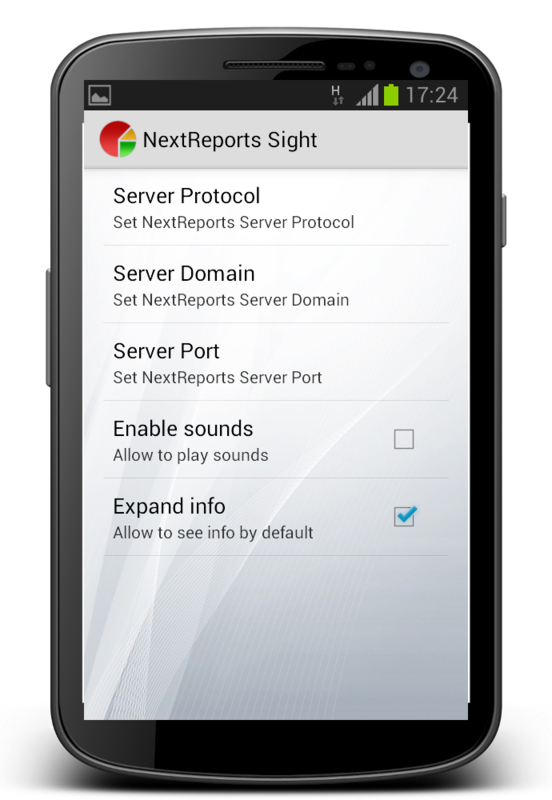 By default the demo version of NextReports Server is configured. Also inside settings there are two other properties: first will enable sounds inside the application, second will show by default some information expanded or not. Because we need to communicate with a server, the api used by the Android client must have a version equal or less than the server version. Required server version can be seen using About action.